Shomari Moorehead represented CrucianPoint at the U.S. Virgin Islands (USVI) Economic Development Summit on May 20-22, 2014 in Atlanta, GA. Mr. Moorehead was spotlighted to share his testimonial on best practices in consulting in the U.S. Virgin Islands. The summit was filled with Virgin Islands officials, commissioners, and the governor. 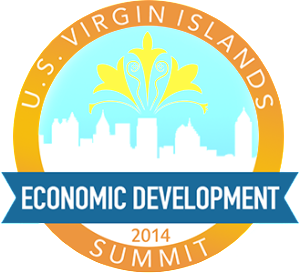 The summit, on its second year, was hosted by USVI Alliance, Inc. The summit’s purpose is to delve further into what it takes to further diversify the economic landscape in the U.S. Virgin Islands and provide an overview of the opportunities for innovative business solutions.